BOP ON TREND: The Short Of It. I read the most interesting article this morning on theCut that suggests dress hemlines are directly related to the economy. 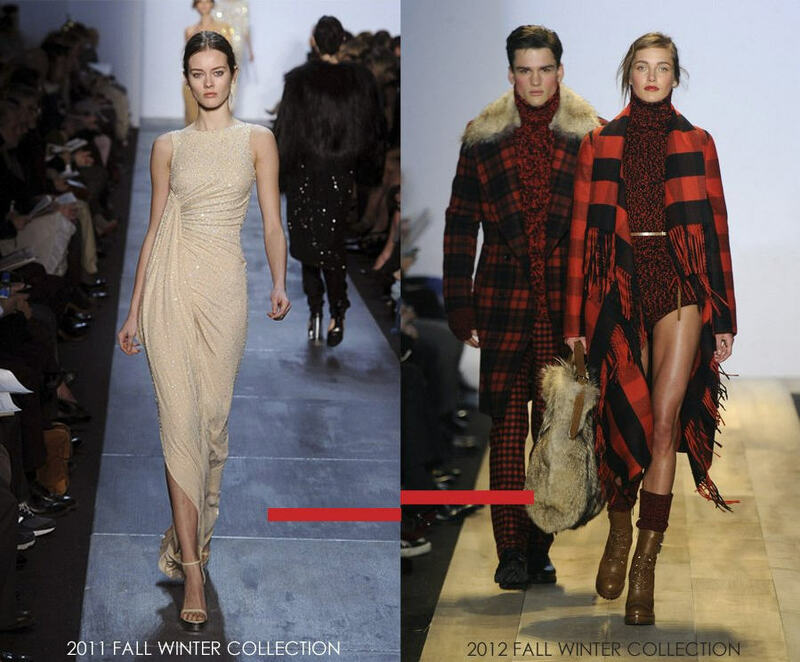 This theory is believed so much so that Business Insider decided to conduct a full analysis of this year's fashion forecast at NYFW for Fall 2012. The shorter the hemline, the better the economy. If that's the case, we should all be parading around in our skivvies. Michael Kors: We assume that the plaid clad vixen on the right would most likely pair this turtleneck jump suit with pants, but for economies sake, I'm happy she didn't. 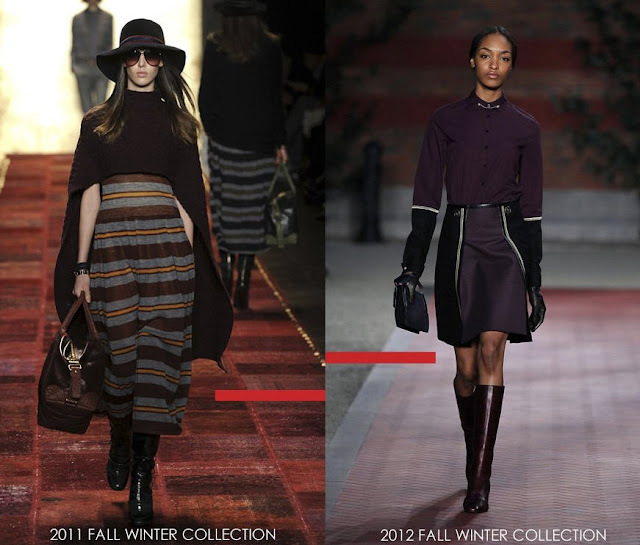 Nanette Lepore: I'm loving this shorter hemline in Nanette Lepore's Fall 2012 Collection. Not your average work suit, it's a lot more playful! Tommy Hilfiger: Okay, this is a stretch because the skirt on the right is merely pencil length, however, we're comparing from last year aren't we? In that case, it's much shorter! Let's hope this theory holds true for this Fall so we can all go out and buy some shorter hemlines!